Recovery Act FAQ: Where Did That $32 Billion Go? The American Recovery and Reinvestment Act is one of the single boldest and largest investments in the U.S. economy in the nation’s history. 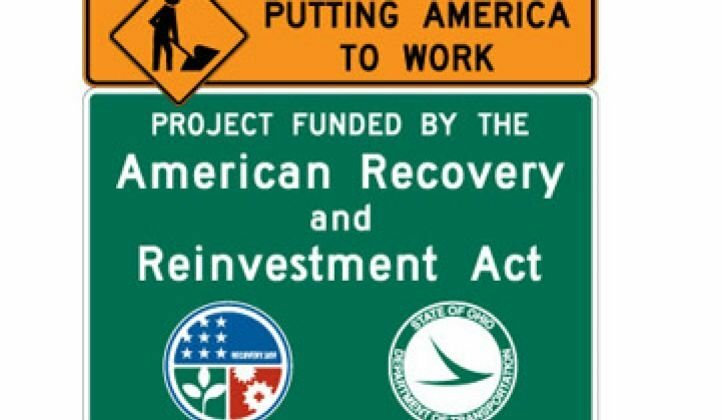 The Recovery Act’s objective was three-fold: to rescue a rapidly deteriorating economy; to put the country on a path to recovery by putting Americans back to work quickly; and to reinvest in the country’s long-term economic future, building a foundation for a new, more robust, and more competitive American economy. Over $23 billion of Recovery Act investments support renewable energy. Many of these investments are directly contributing to the doubling of U.S. renewable energy generation capacity from wind, solar, and geothermal by 2012. 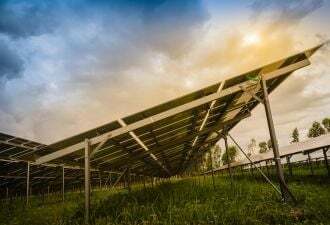 This means installing as much renewable energy generating capacity in the next three years as the U.S. had in the previous thirty. In addition, President Obama set the goal of doubling renewable manufacturing capacity, so that the U.S. can gain leadership in manufacturing these technologies, as well. Double renewable energy capacity from the 28.8 GW of solar, wind, and geothermal generation that has been installed as of 2008, to 57.6 GW by the end of 2011. That’s enough capacity to power 16.7 million homes. Double renewable energy manufacturing capacity from an annual output of 6 GW of renewable equipment (like wind turbines or solar panels) to 12 GW by the end of 2011. This will increase the U.S. share of global manufacturing of solar photovoltaic modules from 8% of all production to 14% by 2012. Here are some resources associated with the Recovery Act funds to clean energy technologies. Virtually all the DOE funds are obligated at this point. Where can I find out about the 5,000 energy projects that have received DOE Recovery Act funds? The entire list in spreadsheet form is here. At about $32 billion, the total is about ten times larger than the annual energy R&D budget. How can I drill down to find out more about the energy projects in my area that are receiving DOE Recovery Act funds? Excellent summaries of projects funded in every state are described in PDF memos found here. The Weatherization Assistance Program for low-income households benefits all 50 states, and although it is mentioned in each state memo, those summaries do not capture that this massive $5 billion mobilization is now gaining steam by the month: Here's the PDF link. How can I drill down to find out more about the energy projects in a specific technology category that are receiving DOE Recovery Act funds? The best page of leads is the list of program categories. However, several programs do cover multiple technology categories, so surfing around a bit can be worthwhile. For example, ARPA-E (Advanced Research Projects Agency for Energy) funds some of the most exciting projects in several technology categories: Here's the link. What are people accomplishing with DOE Recovery Act funds? Energy Empowers is a website set up to share the stories pouring in from the energy efficiency and renewable energy programs. Additional stories that include a broader suite of technologies and project investments can be found here. Does the DOE also make cash payments for renewable energy technology deployment through the Recovery Act? Section 1603 of the Recovery Act allows developers to convert certain tax credits into cash payments, and that is all handled by the Treasury Department. The federal government has paid out $5.4 billion thus far, and each of the 1,300+ projects and the value of its claim is listed here. What about energy projects funded through the Dept. of Transportation, or HUD, or EPA, or Interior…? Each agency has their own Recovery Act page and quarterly reports, and among them, DOT probably has the largest energy-related portfolio since it covers aviation, shipping, rail, roads, etc. Also worth noting: DOT, HUD, and EPA have stirred excitement among smart growth advocates by forming a Partnership for Sustainable Communities based on progressive principles for urban development to guide their grants; details are here. The main www.recovery.gov website has the most remarkable maps that cover all funds for all purposes. Enter your zip code and see what happens. When the Recovery Act is over, are there any other fiscal policies to support clean energy technology deployment? More than ever before. Now both federal and state incentives are included in the renovated Database of State Incentives for Renewables & Efficiency (DSIRE). What other rules are set by the Dept. of Energy, aside from the policies that guide public spending on energy technology innovation and commercialization? The primary regulatory authorities of the Dept. 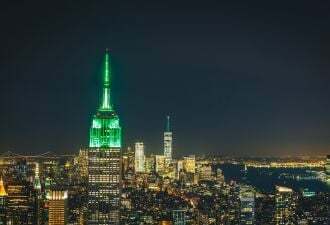 of Energy are focused on setting appliance standards and developing a model building energy code that state governments can then adopt under their own authority. Over the last two years, the DOE has stepped up efforts on these end-use efficiency fronts, expanding the scope of technologies receiving attention and accelerating the pace of rule-making. In addition to semi-annual round-ups of activity, the DOE posts the pipeline of all future appliance standard rules under development here. For building energy codes, DOE provides extensive analytical support for the development of proposals to improve code efficiency, helping win historic gains this week at the International Code Council convention. Those ICC decisions update the model code that state governments then adapt and adopt, and it takes another major effort to work with states on updating their policies, to which the DOE is also committing millions of dollars for technical assistance. The updated maps that show the status for all state residential and commercial energy codes is posted here.